Preheat oven to 350 degrees. Place broccoli in a saucepan, cover with water, and bring to a boil. Boil for 3 minutes and drain. 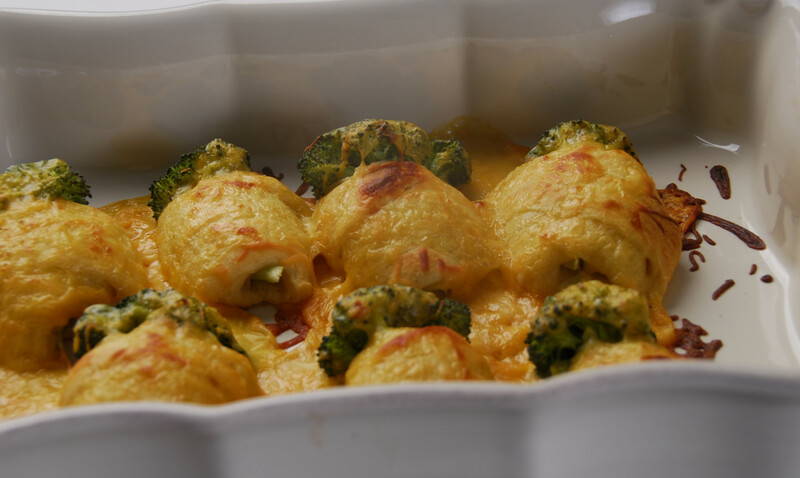 Place individual broccoli spears on wide end of each crescent roll. Roll dough around spear. Place rolls in greased 2-quart casserole. Spread soup over rolls. Top with cheese. Bake for 20 minutes or until bubbly. Not only will they be impressed with the gourmet look of this dish, they'll love the gourmet taste.